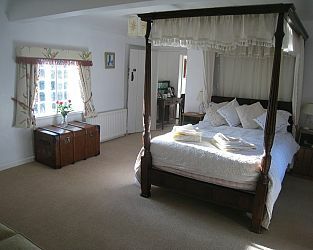 A family run farmhouse B&B situated between the beautiful Cathedral City of Salisbury and the wonderful National Park - The New Forest. So much to do and probably far too little time to do it in. Our aim is to provide you with a memorable and relaxing stay with us. Visit Salisbury Wiltshire and the surrounding villages and stay in b and b, hotel or vacation rental accommodation provided by BedPosts members. Salisbury, Wiltshire, is a city. Settlements here go back to Neolithic times. Subsequently inhabited by Romans, Saxons and Normans. Today's population about 40,000. Visit Salisbury Cathedral! If you seek accommodation near Salisbury in Wiltshire you have come to the website of a “club” of providers who offer affordable quality accommodation around UK in hotels, bed and breakfasts, guesthouses, inns, and restaurants plus self-catering cottages and apartments .